In PowerPoint 2007 the chart feature of using pattern fills was deprecated. For backward compatibility the functionality was included in the new charting engine. Only the interface to it was excluded. This add-in provides the UI in order to use that functionality. The add-in adds a new group to the following contextual tabs, which appear when a chart is selected. The dialog allows you to select Foreground and Background colours. When the selected object is a chart you will be able to select the chart element that you want to format with a pattern fill. By default the pattern will be applied to all points in a series. If you want to apply a different pattern to a specific data point you can do so by selecting a data point form the second dropdown. 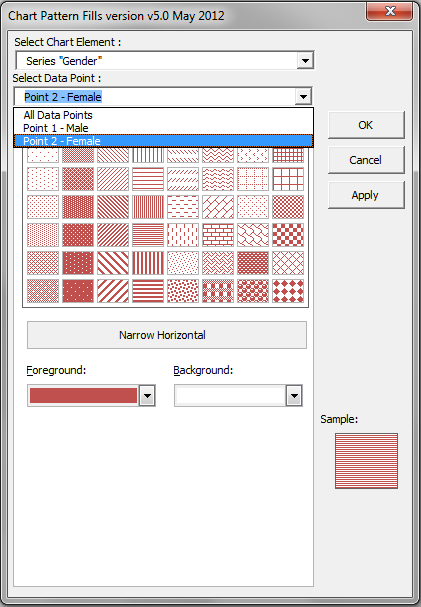 When completed the chosen pattern and colours are applied to the select chart element, if applicable. Chart with Shingle pattern applied. The add-in will handle shapes as well. 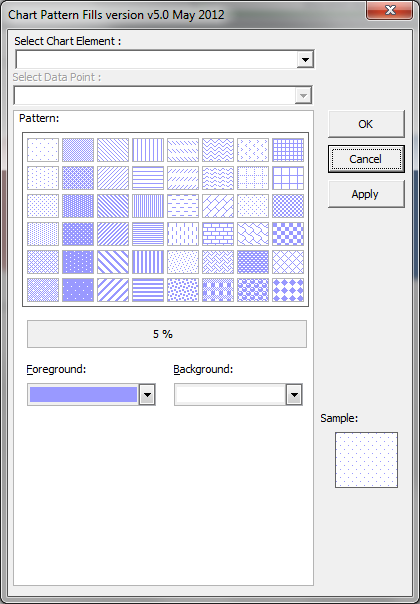 The Pattern Fill button also appears on the Drawing Tools Format contextual tab when a shape is selected. Note: Due to the fact that using VBA destroys the undo stack you will not be able to use undo to restore any changes made using the add-in. Added additional drop down selector to allow the selection of a specific data point within as series. 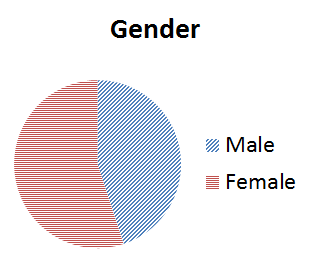 Especially useful when formatting Pie charts. Transparency of shapes and table cells is retained. Apply transparency prior to setting a pattern. You can either place and add-in in the add-in folder or browse to.